With the average small business now spending around $75,000 a year on digital marketing, small businesses need to be smart to get a good ROI. Spending a considerable amount of your budget on marketing without the right strategy could result in no returns at all. You need to follow digital marketing tips to trends to spend wisely. New business online is generated by business directories and search engines. Search engines use tools called “web crawlers” to look at, rank, and index every site on the internet. That’s how they can return results so quickly and accurately. If you want to get in front of the right customers, you need to prepare your site to be found and to offer what your clients need when they arrive. 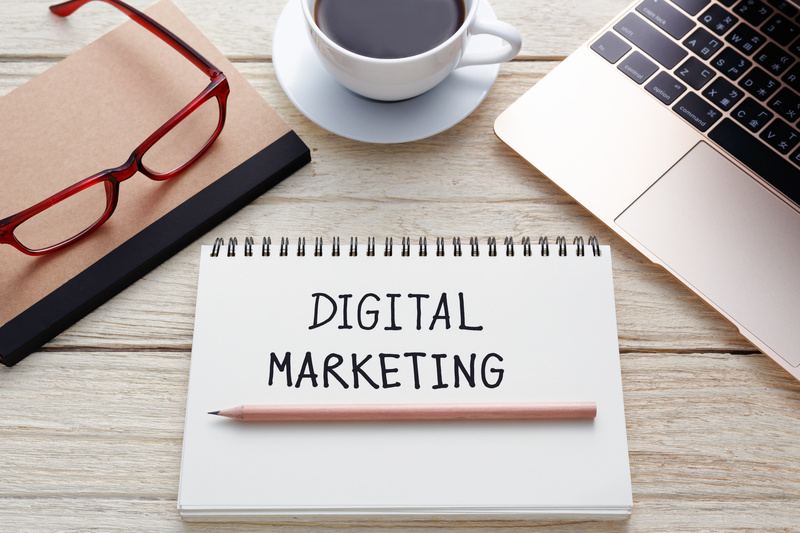 Follow these 10 digital marketing tips to ensure you’re on the right track. If there’s one acronym that rules the internet right now, it’s SEO. Preparing your site to be found by search engines and ranked highly will ensure you get to the top of relevant search results. Search engine optimization takes advantage of the algorithms used by search engines to rank sites. High rankings are about more than the use of a keyword. Mentioning where you’re located, organizing your site well, and using keywords in your metadata will help search engines know how to rank your site. One thing that search engines love is a site that is updated often. Creating a blog is a great way to connect with your audience and to please search engines. You can share your knowledge about your field and tell your customers new ways they can use and engage with your products. Strong content will be shared often by your audience and will end up being seen by a wider audience. The more your content is shared, the stronger your reputation will become. Search engines rank sites based on the strength of their site’s reputation. You should have separate social media accounts for personal use and your business. Create a polished profile and include a few elements of criteria every post to your profile should meet. Making a specific goal and standards to reach that goal will help you to build a following. Don’t be afraid to have a niche. The biggest mistake you can make for your business is to think that your audience is “everyone”. You’ll inevitably have an ideal, core customer who you should be building your base around. It might sound strange, but asking your customers for their personal information and permission to send promotions really works. With most people inundated with spam in their inboxes, it’s not only polite, but it’s sure to work for you. Sending text messages can allow for some high-impact promotions. Respecting your customers’ ability to opt-in or opt-out at any time will make customers respect you in return. As mobile traffic has surpassed desktop, people spend hours a day on their phones. Getting into your customers’ pockets is a great way to increase engagement. One of the best places to perform public relations online is through video platforms. Use sites like YouTube to market your business with ads. Create content that’s relevant to your customers but save the ads for the pre-roll or mid-roll of your video. Promotional infomercials are too obvious to sell anything to anyone but your most dedicated customers. To get new customers, make videos that might have nothing to do with your products but about topics trending in the news or celebrity culture. Email marketing still has a great ROI. While most digital marketing tips might focus on social media channels, emailing your customers great deals never gets old. Email marketing is a low-cost way to engage with your dedicated audience. If you’ve offered the right incentives to get them to sign up in the first place, they’ll pay attention to your marketing efforts. One of the hottest digital marketing tips is to keep an eye on your backyard. When you type “pizza” into a search engine, you might have noticed that you’ll get results for pizzerias that are nearby, whether you intended that or not. That’s because search engines assume you want to know about businesses that are close by. Adding local keywords to your website gets you those results. Mentioning local landmarks or photographing your products in a nearby environment boosts your profile with a local customer base. Build a strong foundation nearby and you’ll have a great customer base to start off from. You need to make sure that all of your contact information is up to date and available to your customers at all times. If they leave a comment on your videos or on your social media account, respond within 24 hours. Even if you get negative criticism, responding quickly looks better for your company than not responding at all. On every business directory, make sure you’ve filled out your profiles entirely. Once incorrect information enters one of the major directories, it can be bought and redistributed by other directories trying to build their audience. Claiming your listing also allows you to post photos of your storefront, products, or your services as people use and explore them. Be sure to get your most loyal customers to leave reviews of your business on these accounts. This will keep your rating from slipping if you end up with a negative review. With the share of digital marketing overtaking traditional marketing year after year, taking advantage of trends and tips will keep you on top. Most marketing tactics can be implemented cheaply or even for free. While trends change every year, currently the most powerful tactics can be implemented with tools already at your disposal. If you’re interested in finding more ways to build your impact online, contact me for even more tips.